This is visual prompt I use in the same way you would use a social story. 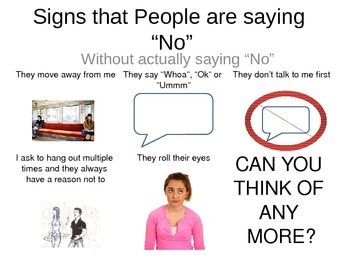 This is a daily reminder of the ways people may say "No" without ever really saying the words. This has benefitted students who are on the autism spectrum and/or have pragmatic language and social problem- solving issues. Enjoy!